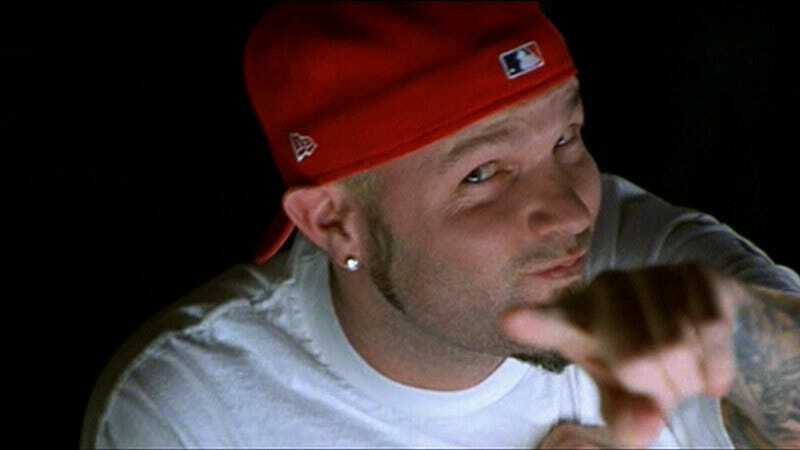 Fred Durst would like the public to know that, despite all the horrible crimes he’s committed against society and any recent suppositions made by the Associated Press, he is not the same person as Robert Durst, accused murderer and subject of HBO’s hit documentary series The Jinx. The Limp Bizkit singer made that clear via Instagram, where he posted a picture of himself, heavily bearded, not in jail, and clad in a grey “NOT ROBERT” hoodie with Bizkit-boosting sleeves. Unfortunately—or fortunately—the hoodie isn’t available for purchase via Limp Bizkit’s site. Although, really, if any alternative-friendly musician might secretly be Robert Durst, it’s probably Fun member and Bleachers frontman Jack Antonoff. Have you seen that dude’s Durst impression? It’s positively eerie.